This was tonight's dinner. A quick and easy weeknight meal. I, personally, can sustain on sandwiches alone but the rest of the fam gets a little bored so I need to mix it up. Since I have been working more, I am noticing I'm boiling up pasta more often. 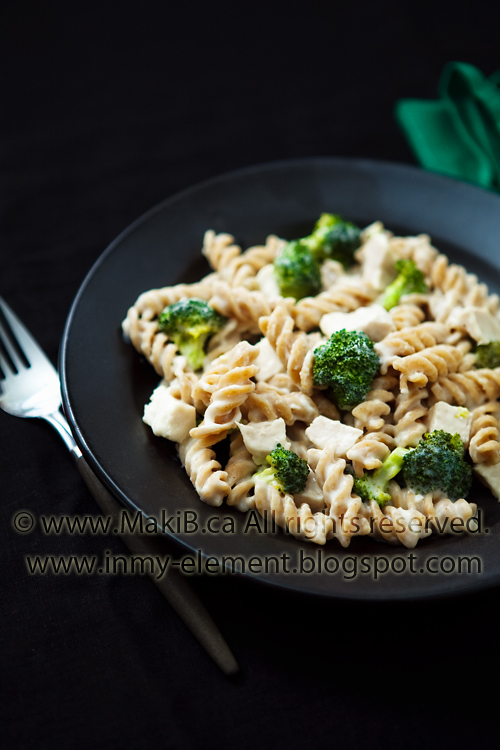 I know pasta purists would only buy the white-flour based varieties but I am really loving the whole wheat version. If you were to compare how much more fiber there is in a serving size, you too would not go back to the white stuff for that reason alone. Makes me feel a bit "healthier". I have also been making this bechamel sauce at least once a week this month. (Maybe not so much "healthier"). I probably "taste" half of it away before I even mix it in with the other ingredients because it is that good. Bonus part: it is ready in the same time your pasta is al dente. Happy chicken & pasta week! Melt butter in a frying pan, add flour, mix and cook under medium-low heat for 5 minutes. Slowly whisk in the milk, salt and nutmeg. Stir occasionally and cook until it thickens up, about 10-12 minutes. Cook the whole wheat pasta per box instructions. Add the diced chicken to the sauce. 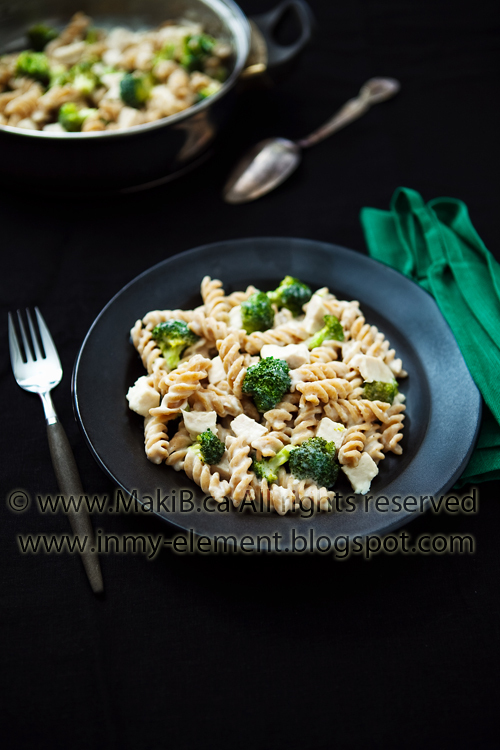 Then, add the pasta and broccoli and toss until well combined. Serve.